Fall and winter grazing of corn residues often leads to concerns regarding soil compaction and other detriments to a soil’s productive capacity. 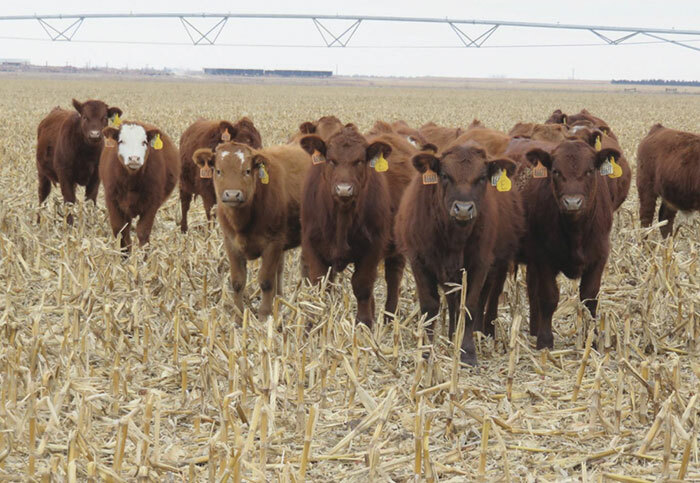 The University of Nebraska-Lincoln has completed extensive research on the topic and beef specialist Mary Drewnoski recently summarized much of it in their Cropwatch newsletter. In a 16-year study of grazing corn residue in eastern Nebraska, no detrimental effects on soils or crop yields were seen. “In fact, fall grazing cornstalks from November to February improved soybean yields by 3.4 bushels per acre,” Drewnoski says. A different three-year trial with five locations in eastern Nebraska also showed that grazing had no significant impact on subsequent crop performance. Fields included three that were continuous corn and two that were in a corn-soybean rotation. Cattle can cause pugging in fields that are wet and not frozen; this results in surface roughness that might sometimes impact seed placement during the following spring if fields are no-tilled. Drewnoski cites a southeast Iowa study that evaluated the effects of grazing cornstalks on fields that were either spring-tilled or no-tilled over a three-year period. Cows were moved to a new area of the field each month during the winter. The impact of grazing was measured in 15 areas for each tillage treatment. In only one case did grazing reduce soybean yield, and it was a no-till system. The researchers suggested that perhaps soil roughness was a factor impeding ideal seed placement in this one situation. Soil bulk density, a measure of compaction, was not affected. Following 16 years of grazing corn residue in Nebraska, researchers observed enhanced soil microbial activity in grazed compared to ungrazed areas. This result has the potential to actually boost subsequent crop yields. No differences in soil organic matter, nitrogen, phosphorus, or potassium were detected following 16 years of grazing. “It is important to remember that most of the nutrients consumed by cattle are excreted back on to the land,” Drewnoski says. Cattle only consume a small percentage of the corn residue so vulnerability to soil erosion is generally not drastically raised. However, fields with steep slopes or low corn grain yield are not recommended as good candidates for grazing. Conversely, grazing is a beneficial means to reduce the amount of residue in high-yielding fields where excess cornstalks might impede planting.